With the sale of the watch case manufacturer Queloz to the Cendres+ Métaux Group, DKSH continues the successful restructuring of its luxury goods business. Queloz remains in Swiss hands. Zurich, Switzerland, November 1, 2018 – DKSH, the leading Market Expansion Services provider with a focus on Asia, transfers the Saignelégier-based Queloz SA to the Swiss Cendres+Métaux Group in Biel. Both parties have agreed not to disclose the purchase price. Founded in 1939 in Saignelégier, the company was sold in 1989 to the Zurich-based trading house Desco von Schulthess. In 2011, the DKSH Group acquired Queloz SA. 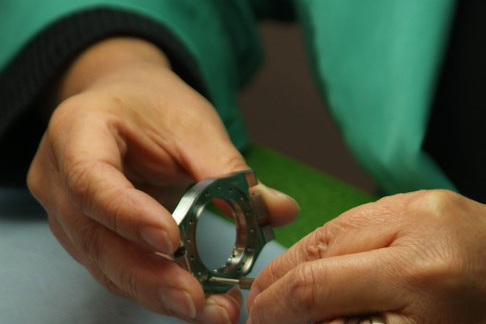 As a specialized manufacturer, Queloz produces and refines watch cases for small, medium-sized and complex collections for the upscale segment. Last year, the company generated sales of around ten million Swiss francs. All 30 employees will be transferred to Cendres+Métaux and further investments will be made in the Saignelégier site. With an increased focus on its core business, DKSH had decided to restructure its luxury goods business in a sustainable way. The transaction underlines this increased emphasis of DKSH as the leading Market Expansion Services provider with a focus on Asia. The Cendres+Métaux Group is based in Biel and the majority of its shares are privately held. With around 350 employees at its Swiss sites in Biel and La Chaux-de-Fonds, the company is active in the fields of dental, medical, watches and refining. In its Luxury & Industry division, Cendres+Métaux sells semi-finished and finished products made of high-quality materials. With the sale, DKSH continues the restructuring of its luxury goods business. The transfer to an experienced owner ensures that the company remains in Swiss hands.